When cities come to life with lights, decorations, carol singing and performances. Melbourne is no exception. The city absolutely comes to life in December, with the lead up to Christmas definitely being the most exciting and heartwarming time to visit the city. 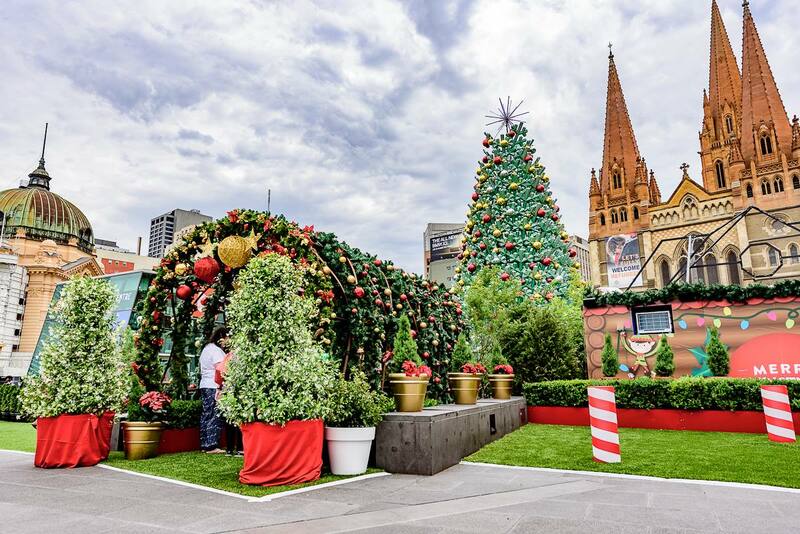 From Christmas performances and light projections, to the Myer animated windows and more Christmas markets than you could even get to before the big day, there’s something to keep you busy until Santa arrives! Starting with the Christmas tree lighting in Federation Square tonight! 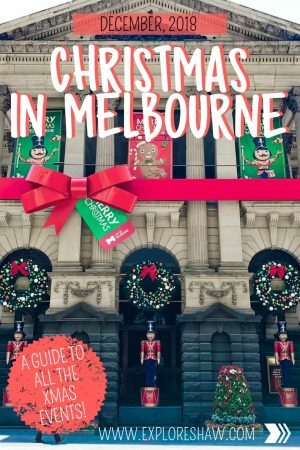 Here’s your complete guide to Christmas in Melbourne and all the can’t miss events! The Christmas season kicks off in Melbourne by welcoming Santa as he arrives at the new Christmas Square in Federation Square. When: Friday 30th November. The tree-lighting will happen at 9pm, but there will be roving entertainment from 6pm, as well as stage show entertainment from 7pm. Watch the city come to life with the popular Christmas projections lighting up the night sky. Make sure you check out the feature show at Federation Square and make your mark on the Yarra Building, using their futuristic ‘finger paint’ technology to control your own vibrant light projections. Image found here. When: Friday 30th November until Christmas day, from 9pm to 10:20pm each night. Where: Feature sites include Federation Square and Docklands. Melbourne Town Hall will also be lit up, but is not a feature show. The all new Christmas Square is bigger and better than ever this year, with a giant Christmas tree, sound and light shows every night from 9pm and exlusive concerts on Friday nights. 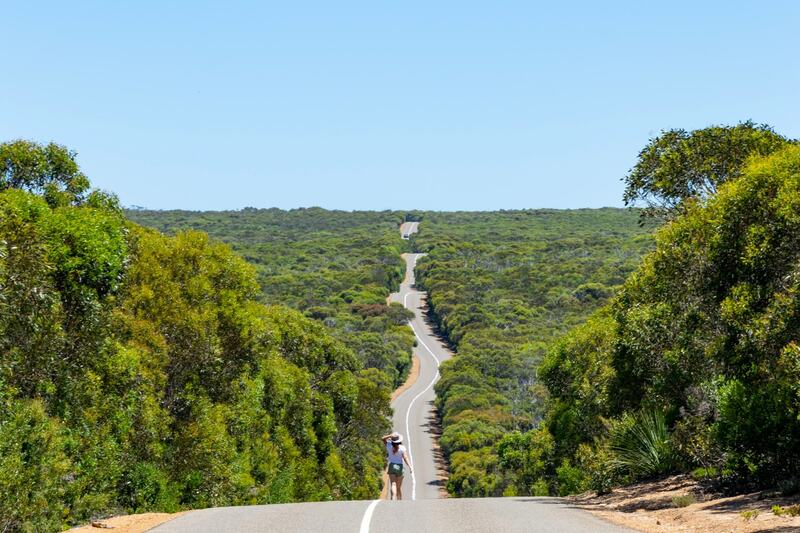 It’s the best place to start to soak up the Christmas atmosphere in Melbourne. When: Open 10am to 11pm from Friday 30th November through to Christmas Day. Where: Federation Square – corner of Flinders and Swanston Street. 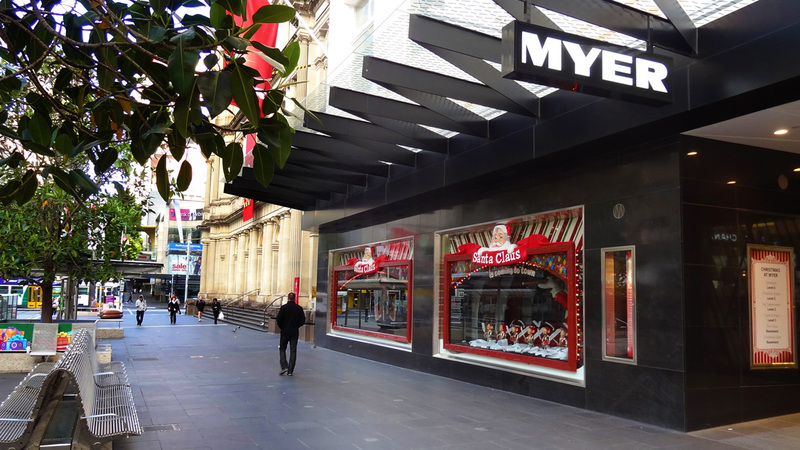 Infamous in Melbourne, the Myer Christmas Animated Windows are back for their 63rd year. The theme this year is Alice In Wonderland and you can check out the unique windows along Bourke Street in Melbourne. Image found here. When: On now until Christmas Eve, all day and night. 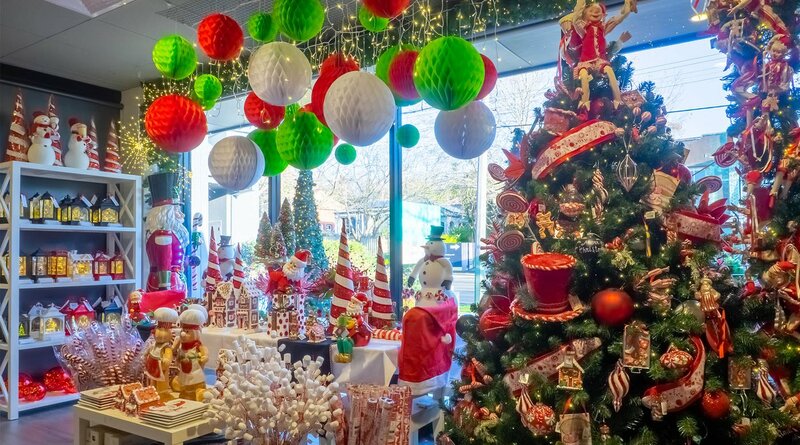 If you want to know even more about the Christmas windows you can visit the Christmas exhibition Make Believe: The Story of the Myer Christmas Windows at the Melbourne Museum, from 10am to 5pm until the 9th of February 2019. 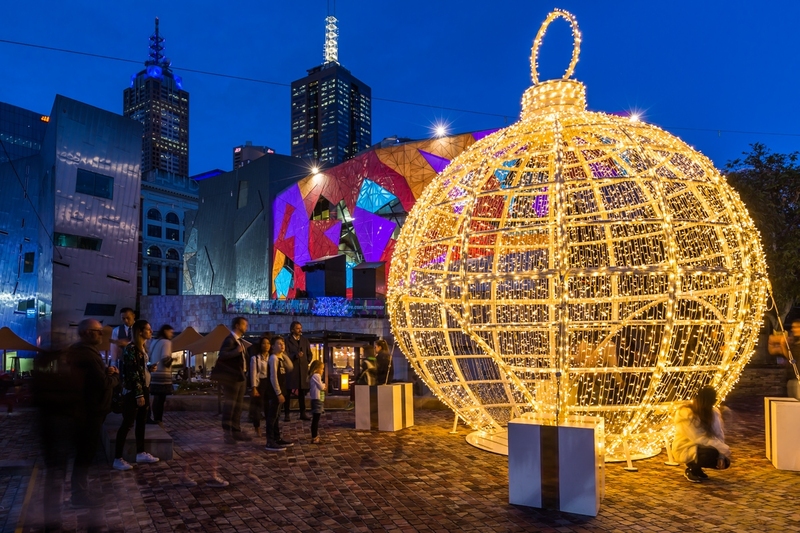 The giant Christmas bauble in Federation Square was a huge hit last year with both photographers and selfie-lovers, and it’s back for another season of fairy-lit goodness. Illuminating the court opposite St. Paul’s Cathedral, the six metre high bauble will sparkle during the day and twinkle at night. Image found here. When: From Friday 30th November until Christmas Day. Check out the Gingerbread Village in the Riverside Gallery at Federation Square – open from 9am to 8:15pm daily. 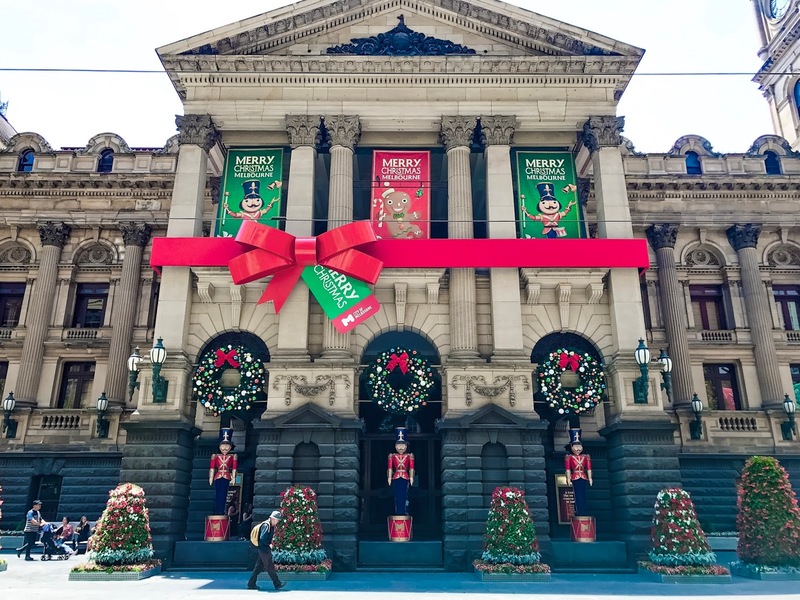 Visit Santa’s brand new house at Melbourne Town Hall – open from 10am until noon and 1pm until 3pm daily, as well as 4pm to 7pm Thursdays and Fridays, from December 1st to Christmas Eve. Post your letter to Santa in the city’s main post box at the Australia Post GPO on Elizabeth Street. There’s also a second post box outside The District at Docklands. Include a self-addressed, pre-stamped envelope for Santa to write back to you. Explore David Jones’ Magic Cave for the most beautiful Christmas decorations and more – open from Monday 12th November until Christmas Eve in the Toy Department on Level 5 of David Jones on Bourke Street. 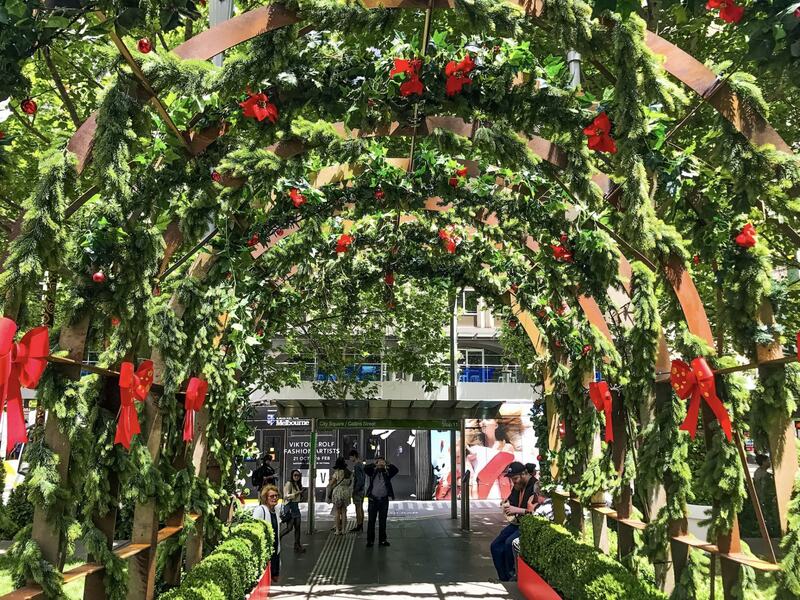 Make the most of Melbourne’s celebrations and do your Christmas shopping in the festive spirit, with some of the shopping events across Melbourne this December. Above image found here. Queen Victoria Market is the ultimate place to shop this Christmas, with all kinds of seasonal food favourites, gift ideas and stocking fillers to be found around the market. There will also be a programme of live entertainment, with carols on the 4th and 11th of December, as well as a visit from Santa on the 22nd and 23rd of December. Depending on the weather outside, you can also experience more of a white Christmas with the Air Canada Ice Rink, which will pop up in the Queen Victoria Market Sheds from the 1st to the 24th of December. When: Market times vary each day, so check out the Queen Victoria Market website for more information. Where: Queen Victoria Market – Corner of Elizabeth and Victoria Streets. For more unique and boutique gifts, check out the Art Centre Melbourne’s Saturday Christmas Market, featuring local designers and artists. You can find some truly one of a kind gifts here, with everything from jewellery, candles, clothing and paintings to woodcraft, leather goods, scarves and soaps. The Big Design Market at the Royal Exhibition Building – 10am until 5pm from the 30th of November until the 2nd of December. 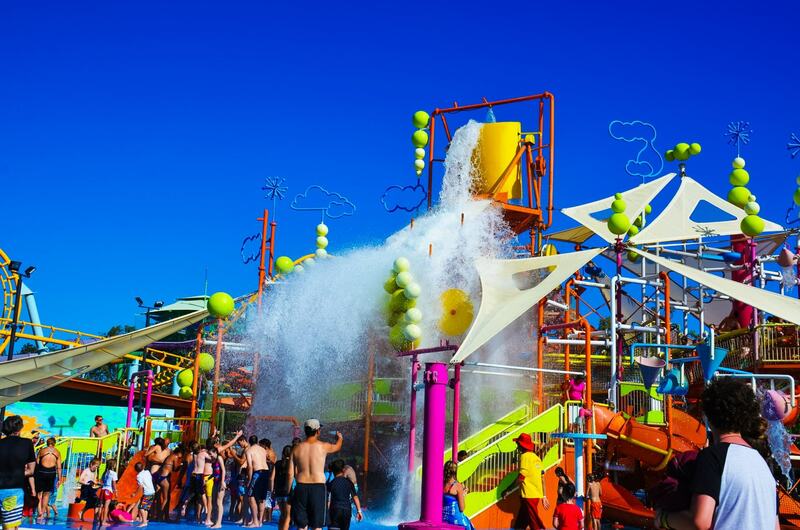 Entry is $2AUD per adult, kids under 12 are free. Docklands Sunday Market at NewQuay – every Sunday from 10am until 5pm until the 23rd of December. Japanese Festive Market at Kimono House on Swanston Street – 10am to 5pm Tuesdays to Saturdays from the 1st to the 22nd of December. Boho Luxe Christmas Market at Federation Square – Sunday 9th December from 10am to 5pm. River Studios Christmas Market at River Studios in West Melbourne – Sunday 2nd December from 10am to 4pm. Market Place Christmas at Collins Place – Friday 14th December from 10am to 6pm. 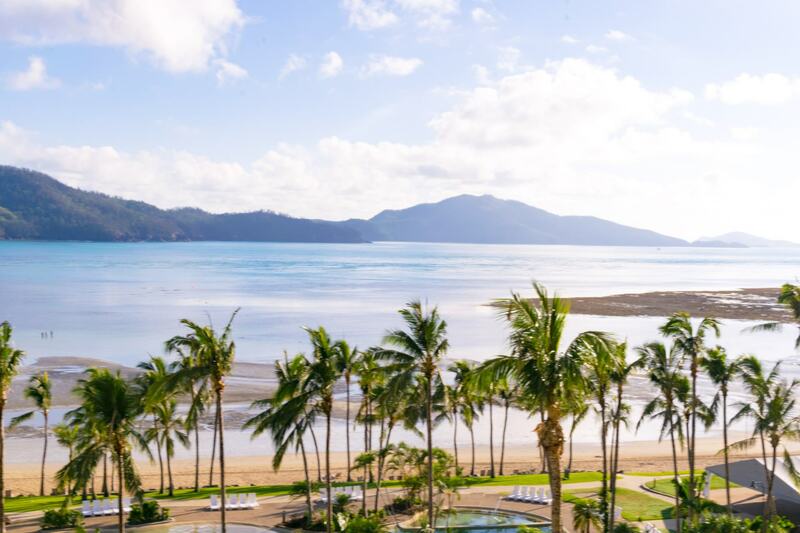 The ultimate Christmas event each year, Carols by Candlelight is a can’t miss event for anyone looking for the most Christmas spirit. The Sidney Myer Music Bowl in the Royal Botanical Gardens is the place to be on Christmas Eve, for a beautiful performance of carols from some of Australia’s top talent. Image found here. When: Monday 24th December at 8pm. Tickets: Some general admission tickets are still available for Carols by Candlelight. If you can’t attend the carols event on Christmas Eve you can tune in for the live broadcast on Channel 9. Santa’s Christmas Spectacular – Empire Theatre from 23rd of November until 23rd of December. I’m Dreaming of a Cabaret Christmas – Speakeasy HQ at the Apollo Theatre on Saturdays through December from 6:30pm to 8:30pm. Hello Music Carols by Daylight – Federation Square on Sunday 2nd December from 3pm to 4:30pm. Christmas Melodies – Hamer Hall on Monday 10th of December, two sessions available. The Snowman Children’s Christmas Concert – Melbourne Recital Centre on Saturday 8th December, two sessions available. Don’t forget to share your Christmas celebrations and hashtag #melbmoment on social media, to share Melbourne’s Christmas festivities. And no matter how you celebrate or spend the next month in the lead up to Christmas, make sure that you have FUN! Spending time with family and friends is the best way to spend the holiday season, so make sure you’re celebrating with your loved ones.